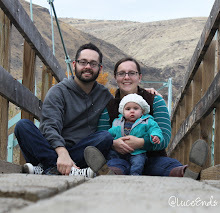 I know we've had a slow few months on the blog. I really do have a few things in mind to post soon. Today, however, is another Ten on Ten post. This week we're on vacation in Chicago, visiting my little sister and her husband. Today, my birthday, we spent walking around some of the city. Hope you enjoy the pictures, mostly (maybe all?) taken by Tom! Nice photos... looks like a great way to spend a birthday! Happy birthday friend! Wishing you safe and happy travels! Happy belated birthday! Those cupcakes look delicious! Awesome set.